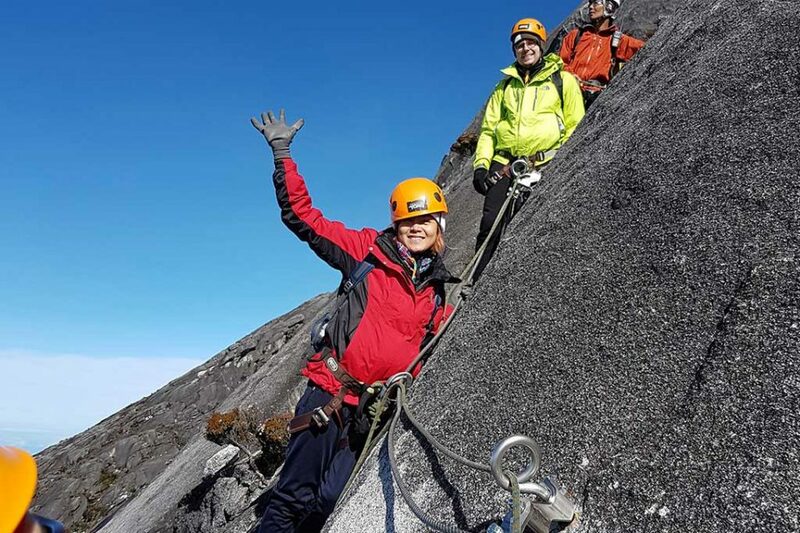 For anyone planning on climbing the monstrous 4,095-meter summit at Mt Kinabalu, if you want to shake things up, why not try experiencing the thrilling Via Ferrata steel cable climb that will guarantee your climb to be extra memorable? 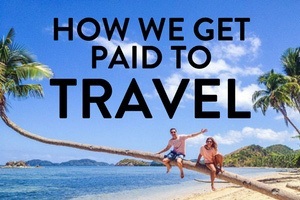 This is exactly what we did a couple of months ago as we wanted to make our time in Malaysia just a little bit more adventurous and exciting. 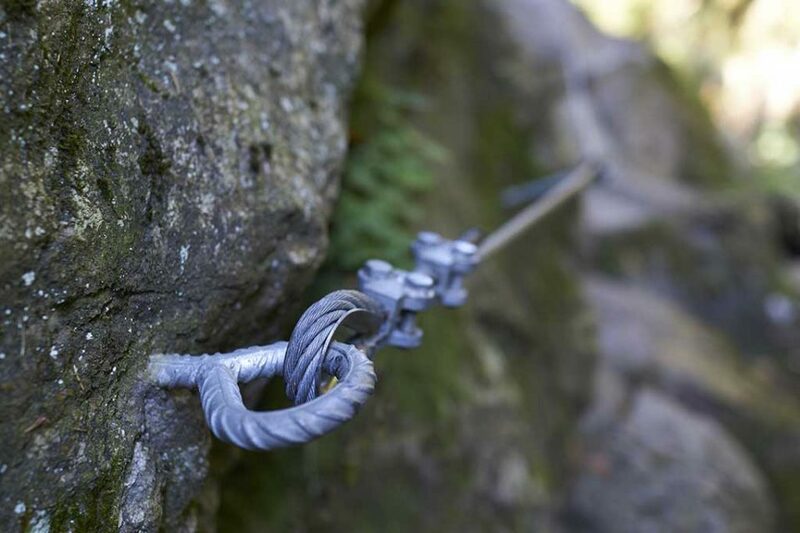 For those that don’t know, a Via Ferrata is a protected form of rock climbing (or rock dangling) that entails one to take a dangerous route down the side of a mountain secured to a steel cable using iron rungs (AKA metal, dangly life aids). 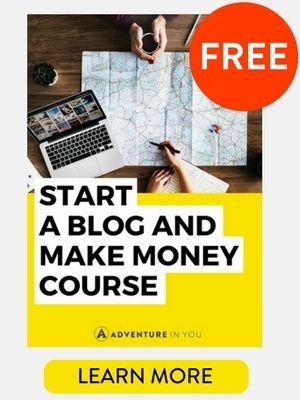 The best part is that this activity is relatively great for inexperienced climbers because you don’t need to rely on other equipment such as ropes. The route is there, you just need to follow it. Mountain Torq provides the highest Via Ferrata experience in the world with different route options at different difficulties and lengths. They provide training the night before on how to wear and use the equipment. Additionally, they provide helmets and a certified guide to make sure the experience is in a safe and controlled environment. 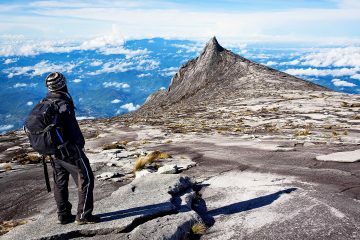 We decided to go big or go home and ventured for the longest route at 1.2 kilometers called Low’s Peak Circuit. This Via Ferrata route situated at 3,776 meters above sea level is designed for the brave and active. 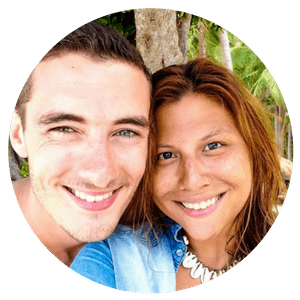 So when we stepped up to the challenge – an exhausted man and a woman scared of heights, we gulped our last breath and took a leap of faith. The good thing is you are always in a team of four people plus a tour guide. Our recommendation is to never be the first climber in the pack (what they call the Captain) because it is their responsibility to set the pace. If you are sensitive to heights or doing this for the first time, you don’t want to be the one holding everyone back. Your guide stays last to support anyone in case of a slip-up. We were in the middle and luck was on our side because it wasn’t raining. Imagine trying to navigate and climb up ropes and steel bars while being drenched in rain. Not fun. We were greeted with a sheer drop right at the start and despite our initial fear, we noticed that the scenery and view were simply jaw-dropping which somehow pushed us to go on. The first half of the Low Peak route takes you down the rocky side of the mountain over metal ladders and suspension bridges. The sport itself isn’t too tricky and entails a repetitive motion of climb … hook… climb .. hook, following the natural rhythm of the steel cable. Of course, it requires some balance, trust, and flexibility, but in no time it becomes a fun activity that tests your limits. The second half of the route passed swinging planks and is an ascent back up the mountain (that’s right, we were going up!) This part, we had to use our arm strength to pull ourselves up about 360 meters. We both have to be honest when we say that at this point, we were ready to kill our guide(we cursed under our breath) because we were never warned that it was just about an 89.9-degree climb. Don’t say we didn’t warn you! For those interested in Via Ferrata but not with such intensity, the Walk the Torq option is highly recommended. This 430-meter circuit gives a smaller taste of the experience where you don’t spend too much energy but still get your adrenaline pumping. A few ladders, some planks, and generally not too steep conditions make this a fun alternative. 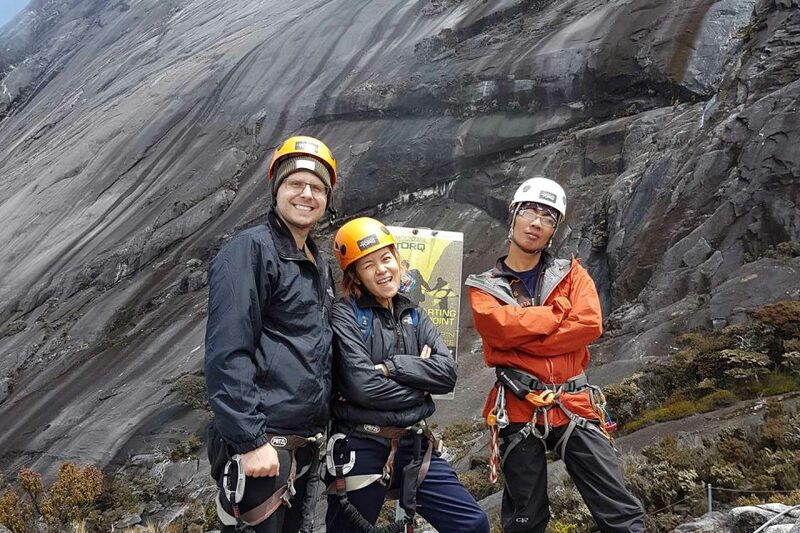 Whether it is to hang from the side of a mountain or dangle amidst gorgeous clouds, booking the Via Ferrata experience can be done directly on the Mountain Torq website. If you want the hike up and Ferrara all-in-one we recommend going through a tour company like ABC tours. 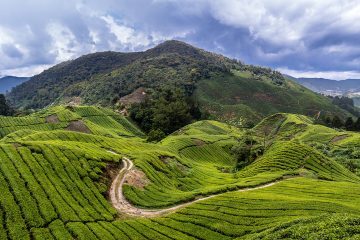 They provide a variety of itineraries that include accommodation and your choice of route (plus they will pick you up from your hotel). We went with the 2 Day, 1 Night Low Peak package which included transport, accommodation, and meals. 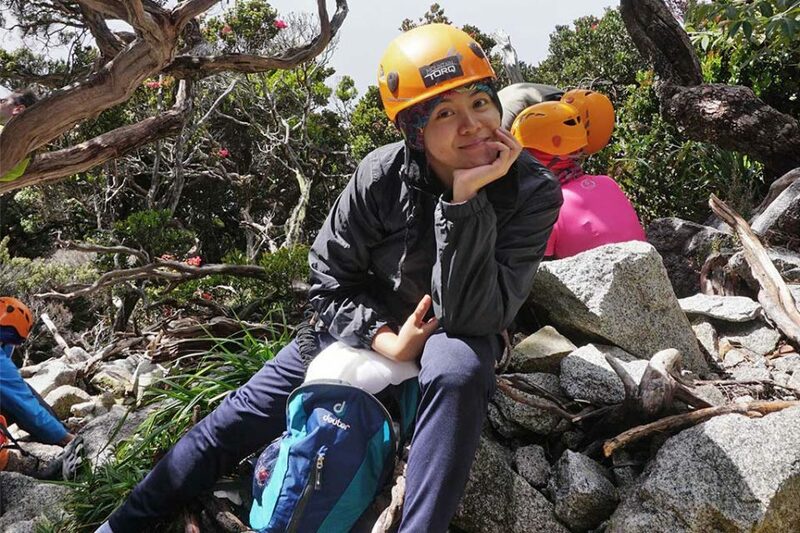 In terms of what to bring, that jacket you already have climbing up the mountain will come in handy along with a pair of gloves and a spare change of clothes. Carry a smaller pack so that you are comfortable too. 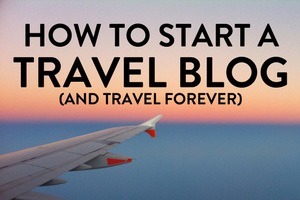 You will also need to have hiking boots/shoes. There are strict rules around this so don’t expect to wear your runners or spiked shoes and get away with it. If you are unsure you can always check with the team in advance. A few thing to keep in mind: The Via Ferrata experience is only for individuals 17 years or older who are generally in good shape. The experience is tough (and that’s after you survive getting up the mountain) so you don’t need to be superhuman but at least know your limits. The experience is subject to weather conditions so don’t be surprised if your experience is canceled last minute. Climbing up the intense but scenic hike up Mt. 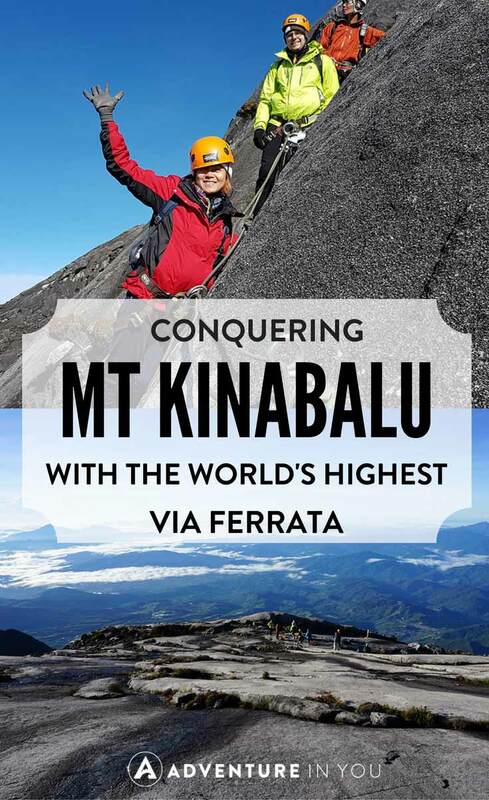 Kinabalu is thrilling but if you want to make it a little bit more exciting, we highly recommend taking on the World’s Highest Via Ferrata for a heart-thumping adventure.